On a Mobile Device? Tap the Three Dashes to Navigate the Menus. 2019 Summer Registration is Closed. Boyceball will be coming out to give a free coach clinic. No registration necessary, just show up! Bring a glove and a notebook. Out to the ballpark everyone! Click Here For More Information and To Buy Tickets ! March 1 Travel Registration Deadline! Looking to become a member of Elk River Baseball? Click the link below to get started! *You can also find this link under the 'About Us' tab along with other useful information. Elk River Youth Baseball is looking for people who are interested in shaping the future of Elk River Youth Baseball. If you are interested, please fill out the application below and email to Dave Lodermeier @ DLodermeier@SummitCoUS.com or phone (651) 216-6624. Volunteer coaches are the heart and soul of this organization. Without you, it wouldn't be possible. If you're interested in coaching, click the 'Are You Interested in Becoming a Coach' option in the Registration. Interested in Becoming An Umpire for the 2019 Season? Contact Dan Feigum. dfeigum@charter.net and Get Paid! Thanks to donations, we now have new dugouts ! Donations have made it possible to add new dugouts at YAC & Oak Knoll. Elk River Baseball does not supply first aid supplies to teams. Coaches and parents are encouraged to have basic first aid and ice packs in the event of injury during games and practices. Thank You to Franklin Outdoor Advertising for Your Continued Support of Elk River Baseball! 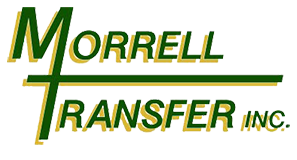 Thank You to Morrell Transfer for Your Continued Support of Elk River Baseball. This season Elk River Youth Baseball will be raising money to help with some field improvements. Your donation of any denomination will help us achieve this effort. See our Fundraising link for more information. *You can also find this link in the 'about us' tab along with other useful information. Below is a breakdown of the training times, dates, and instruction descriptions. To see a clearer image, or to print out the form, click the red bar to view the PDF. Spots are very limited so be sure to sign up early as we expect the classes to fill up fast. Additional information will be provided closer to the start dates. Back for 2019 are the BoyceBall instructors! Boyceball Training offers private, small group and team training to baseball and fast-pitch softball players throughout the state of Minnesota. They are combined of former college and professional athletes specializing in the mechanics of hitting, pitching and defensive training. And returning this year are instructor Derick Snell and team of instructors, as well as the ERHS Varsity coaches. Snell is the owner of Living the Dream Sports in Becker, MN. Spots are limited, so be sure to sign up early!